We opened with the national anthem. Rev. Ronald Ramsey gave a prayer. Town Moderator Worden opened with remarks that, as promised, Town Meeting gets to choose in the end. The usual administration to start: the meeting voted to permit non-members who are on committees, are employees, consultants, etc. to sit on the main floor (everyone else is required to sit up in the balconies). The warrant was read by the Town Clerk. The next meeting was scheduled for the Wednesday the 22nd. There were no newly elected members to swear in. An email list for Town Meeting members was announced. Interested members should email tmsignup in the Selectmen's Office. I'm curious how this is going to work. I've given a lot of thought to this in the past, but I never found the "right" way to create the list. Will it be moderated? By whom? On what criteria? Or it will be a free-for-all, with anyone looking for an easy way to express opinion sending email? I'll join it; I have a very high tolerance for extra email. I wonder if it will really be effective. Board of Selectmen's and Finance Committee's joint report was submitted by Diane Mahon. Ed Tsoi gave the Arlington Redevelopment report. Charles Foskett gave the Symmes Advisory Committee report. Ed Tsoi requested an hour for his presentation, which was granted. He spoke to several slides, giving the time frame of events over the last several years, the five commitments the Selectmen made during the initial debt exclusion, how they were modified in the Symmes Advisory Committee report, and how the final plan scored against them. Diane Mahon spoke for the Board of Selectmen. She explained that the original commitments had been tested by the real world. The current plan was a good one and a realistic one. Charlie Foskett spoke for the Symmes Advisory Committee. He pointed out that the town has spent approximately $3 million on operations at the site - essentially a subsidy for Lahey. He ran through more of the specific goals and requirements set by SAC, and congratulated the ARB on getting so many of them successfully incorporated. He also brought out some fire and brimstone, giving a harsh warning of what might happen if the town votes no. Ed Starr spoke for the Transportation Advisory Committee. He described the peer review of the developer's traffic plan. He described some possible traffic mitigations that might be performed. In general, the board thought the traffic plan was valid. Traffic will be about the level of the hospital in 1982, but less than the peak hospital levels. Lyman Judd spoke in opposition on the basis of a lack of guaranteed medical uses. After the break, three doctors described the efforts to get medical use on the space. They said that it was impossible to get guarantees while the zoning is still unresolved. They listed a series of groups with "letters of intent" to come to Arlington. I was surprised the moderator gave so much leeway to these speakers. They gave a sort of mini-presentation in response to a half-formed question. It seemed out of the ordinary. Deborah O'Donnell spoke against the plan. She was on the Symmes Public Use Working Group. She reported that the Symmes plan had said that if medical was impossible, that the space should be used for a community purpose. She was very unhappy that the current plan doesn't have that fallback to community usage that the plan had recommended. She was a very good speaker. Her argument was well reasoned, her speech well written, and she delivered it very well. I think that this was the most compelling argument that I have heard against the current plan. The strength of this project has been the adherence to process. She's pointing out that in this case, the process was not followed. Still, the argument doesn't change my mind. I think the financial realities are that the town can't (and shouldn't) forgo the revenue that we'd lose with a community use. There were eight more speakers, 5 in favor and three against. One decried the process and the quality of the deal. Another compared it to the decision to rebuild the high school, when the town voted down the first proposal which ended up being the better one. The environmental impact of the plan, the monthly cost to the town, and the unresolved issues on medical care and traffic were discussed. A self-described "conflicted abutter" said that he would vote yes and have faith in the planned traffic mitigation. A supporter of the article questioned whether the opponents had a financially viable alternative. The history of the hospital and town governance was given. It was an interesting debate tonight. I'm pleased with the quality of the discussion. I think two speakers stooped to unnecessary personal attacks, but it could have been worse. And, I think it reflects more poorly on them than on their intended targets. I walked into the meeting planning on voting in favor of the zoning change, and I'm more confident in that now. I have one addition to the argument I made this weekend. If all of the opponents to the new Symmes plan sat down and talked about how the current deal should be modified, they'd never come to an agreement. Some want a hospital. Some simply want guaranteed medical. Some want more open space, or more environmental protection, or less traffic, or lower density, or more below-market housing, or more community space. This site simply can't satisfy everyone's needs. If we delay the decision by months (or, heaven forbid, years), we'll just have another set of tussles over these competing demands. I'm satisfied that the process the town has gone through has sorted these needs out as best as can be hoped for. The meeting opened with the national anthem and a prayer. The moderator noted that 18 people were on the list to speak. Diane Mahon moved that the meeting reconvene on the 27th if it is not completed. Diane Mahon read a proclamation for Recycle Week, November 15-19th. The email list for Town Meeting members was discussed. Interested members should email tmsignup in the Selectmen's Office. At this point, it was 8:19PM by my watch. What follows is a bit less than 2 and 1/2 hours of debate (the break took 13 minutes), without a vote on the issue. 15 speakers took the floor in that time; a handful of others were called to answer questions from the speakers. This debate doesn't lend itself to my usual style of note taking. This is partly because the debate goes deeper into the details than most Town Meeting debates. I think it is also partly because speakers are more long-winded than usual. Do my notes shortchange the full arguments that were given? Perhaps. But, I believe my notes convey the hearts of the arguments that were given. I fear that most people will read these notes and say "That took 2.5 hours?" I can only reply that I think my notes strip away the verbal padding applied by most of the speakers, but leave the essential arguments intact. As always, I'm happy to hear criticism and advice. Joseph Curro spoke, asking for and receiving a five minute extension. He had previously sent a letter to the homes of Town Meeting members with some of his arguments. He spoke against the zoning proposal. He argued that there was not enough money to protect the residents against damage during the construction. He complained about the misleading scale on the model, the lack of audit for profit sharing, environmental enforcement, and the lack of medical guarantee. 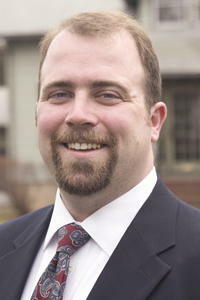 Christopher Loreti spoke in opposition. He had left a document on chairs for people to read. He argued that the town was asking for too much money, and that was limiting the options. Treasurer John Bilafer spoke in favor of the change. He spoke in glowing terms of the people and process. He warned of the dangers to the town finances if the deal is not completed in a timely manner. During the applause after this speech, I found real hope that the deal will be approved. There were so many members on the floor signaling approval, in all parts of the room (as far as I could tell). We shall see, of course. Ron Spangler asked a why some early drafts had multiple zones on the hill, but the current proposal has a single, multi-use zone. The answer, from Kevin O'Brien, was that it was better to not limit the options while the plan was in flux. Also, the single zone gave protection against spot-zoning lawsuits because the zone had already existed for 30+ years. Andrew Fischer requested an extra 5 minutes. There was an objection (much to the distress of the moderator), and the time was granted by voice vote. He argued that the town had not appropriately considered the re-use of existing buildings. He also was concerned about the use of restricted gift funds. Selectman Greeley spoke in favor, describing the deal as 95% of what we want, and the best deal available. He then asked a question of Town Meeting Member Reedy if "it was viable to use the space as hospital" as the previous speaker had suggested. Reedy answered that it was not viable - hospitals only add to their "mothership" not new hospitals. I don't understand why the moderator permitted this question and answer, and I think it was inappropriate of Mr. Greeley to ask it. It was a transparent (and successful) attempt to bring up another speaker without making them wait in the list like everybody else. I suppose some people would applaud the tactic, because it worked; I would prefer to act within the intent of the rules. If every speaker used their final minutes to "ask a question" of someone they wanted to speak, we'd never get anywhere. This tactic was repeated by others during the course of the debate. Sheri Baron asked a number of questions. She asked a traffic question for TAC, a density question for the ARB, a medical question for the developer, and tried to ask a question of SAC about money before she ran out of time. The questions were pretty easy; they were relative softballs for the proponents of the change. After the break, there were two speakers against and one in favor that repeated similar themes from previous speakers. Two new elements were the complaint that the usage of Woodside Lane was still unresolved and that there had not been enough time to digest documents and propose amendments. One of the speakers requested an additional 5 minutes, and there was another objection from John Deyst. He asked the moderator how many people were on the list: the answer was 20. He feared that speakers who go long risk us losing the chance to hear new voices and ideas. I think this complaint was quite valid. I can't think of a single speaker who restricted themselves to the minimum number of words. Everyone felt the need to say their point one more time, in one slightly different way. This was particularly problematic for people who were repeating arguments that had already have been made. I think that it is appropriate to stand up and say "I'm rising in favor of this article, for the reasons stated by speakers A and B." I do not think it is appropriate to repeat the speeches of speaker A and speaker B verbatim. When people rise to speak on Monday, I hope they very carefully consider if they really are adding anything new to the debate. If not - they should limit themselves to thirty seconds. Thomas Caccavaro spoke in favor of the zoning. He provided the humor for the evening by telling the meeting that the new development on Mill "makes him want to gak." If we don't approve this deal, we risk getting one that makes us all "carry bags for gakking." Town Manager Sullivan spoke in favor. He said that it wasn't his role to apply pressure, but to warn of consequences. He said that saying no meant financial risk without a clear plan of what the next steps would be. Two speakers followed, speaking in favor of the zoning change. A pair of speakers followed with points of order that were out of order. The meeting began to lose order, and was adjourned. 20 people are on the speaking list. The meeting opened with the national anthem and a prayer from St. Eulalia's. The moderator welcomed the meeting to its third day. He announced that there was a resolution to the medical component of Symmes and that Mr. Tsoi, next on the list, would ask for extra time to explain it. He said that 28 members had signed up for email; other interested members should email tmsignup in the Selectmen's Office. He also said that there had been abuse of the questioning process and would be holding people more rigorously about questions. Diane Mahon moved that the meeting reconvene on the 29th if it is not completed. Article 2 - Symmes Zoning, continued. Mr. Tsoi asked for and received an extension to 15 minutes of time. There was an objection, but the moderator did not hear it; the time would have been granted in any event. He introduced Edward Fish. Fish said that he understood the concerns, but that it was time to move forward. He asserted a commitment to medical use at Symmes. He cited the strengths of his company. Mr. Tsoi continued and announced the resolution. The ARB had voted to only accept a medical use for the property; if it proved impossible, they would come to Town Meeting for approval of the change. He presented a resolution to be endorsed by Town Meeting. This was, essentially, the medical guarantee that so many people wanted. I doubt it would really hold up in court; among other things, a new vote of Town Meeting wouldn't require 2/3 approval like the zoning. But, I think that is really a semantic argument. The commitment has been made, and it will be followed. He also said that the ARB was in favor of the not-yet-proposed amendment written by Patricia Worden. Five more speakers went. One of them, Brian Rehrig proposed an amendment to the main motion. The amendment had been originally written by Patricia Worden. It made medical use required. The speakers were all in favor of the zoning change. They made points about requiring medical use, conservation, the protection of open space, and the land disposition agreement. Debate was terminated by voice vote, with 19 people still on the list. The resolution and amendment passed by voice vote. The main motion, as amended, carried 176-22. A 10-minute break was called. It was announced that the town had won the latest round in court over the Mugar property. Article 3 - Revolving Fund. Brian Rehrig explained that the fund was designed to smooth the effect of revenues and debt payment on the general fund. The Selectmen and Finance Committee were in favor. Passed unanimously. Article 4 - Symmes Neighborhood Advisory Committee. Diane Mahon spoke in favor and commended the effort of the neighbors in the process. Three residents spoke in favor, describing the support and how proud they were of the work done. Passed unanimously. Article 5 - Funding Traffic Study. Mr. Tosti described the FinComm's support. He explained that it was not yet clear if another report would be needed. A resident spoke in favor. A questioner determined that the estimated cost, if it was necessary, was $35-$40,000. The motion was approved. Article 6 - Release of Land Restriction. Mr. Maher explained that the restriction was probably already expired, but this action cleared the title entirely. The motion passed, 136-1. Article 7 - Fund Transfer for Conservation Commission. Mr. Tosti explained that the funds were supposed to be in a revolving fund, and that future articles would correct that. Passed unanimously. Mr. Tosti announced two vacancies on FinComm in precincts 6 and 20.